Is Physic Phenomena linked to UFO activity? This post is published with the kind permission of Phil Sweeney of the FB group Disclosure Now. Thanks Phil. “My name is Don Montgomery, Jr. My father was stationed at RAF Bentwaters from 1977 to 1982. At the time of this event we were living in Suffolk on the Black’s Farm near Rendlesham Forest. This house is huge. We had some very interesting events happen in the home. Once we moved in, my brother started talking to an invisible friend and he had full-on conversations. Shortly after that I started hearing noises coming down the driveway which used to be a cobbled way, their hoofs beating on the stones. But no horses were there. Then an old lady in white, dress and bonnet, would walk across the walled yard. Then an elderly man in a wheelchair would wheel himself down the hall and up the stairs which could only be accessed via a staircase. Our room was upstairs and our room looked out over the walled in yard. The home had entirely too many rooms for us to heat so we would frequently close off a lot of the main rooms and just heat the main area. I had tried telling my parents that I had been seeing people that were not there and they thought I was making this up. We were all sitting in the living room watching something on the television when something pushed down the mechanism to push down the heavy oak door. With a very loud thunk, the door opened then closed. My family were flabbergasted as we all heard walking through the living room. Then the other door on the other side of the room, the one that lead to the stairs was opened and then shut. My parents looked at each and then looked at me. Me being 16 at the time, I looked them and I said, Told ya! I never saw my brother’s friend but I knew he had to exist. The whole time we lived there we always constantly had something happening in the paranormal. It was later, in 1981, that I found a picture of the man in the wheelchair in a class photo in an old garage. I showed it to my parents and I told them, this is the man that I had been seeing. He was considerably younger but I will never forget that face. I still see spirits to this day. They have become a part of my life and I have learned to accept it. Now Rendlesham Forest, December 23, 1980. I was sitting on the back porch of the Black’s Farm. It was dark and cold. I was cleaning rabbits on the back porch that my father had shot. I was finishing up with the rabbit when a white ball of light coming from the south of the house moved north to the back field behind the house. It as completely silent. I watched it with awe, not quite believing what I was seeing. It hovered over the far field and looked to be about the size of a Mini Cooper. It cast a glow on the wet mud in the field and then seemed to land in the field. It was simply beautiful. It looked like it was pulsing. I eventually snapped out of it. I went to get my dad. I was very excited. When we came back out, it was gone. Like it had blinked out of existence. My father did not think I saw what I knew I had seen. He told me it was probably a helicopter and not a big deal. I knew what I had seen. Sign up to my email list to get book release dates and news – see REGISTER NOW on the right hand side of the screen. 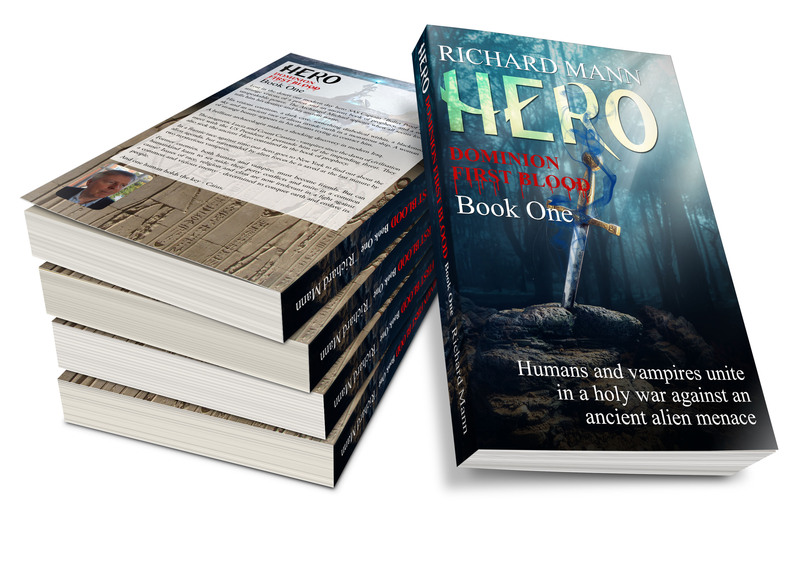 Author richmann1Posted on December 20, 2016 December 31, 2018 Format LinkTags Physic Phenomena, Rendlesham Forest UFO, UFO activity3 Comments on Is Physic Phenomena linked to UFO activity?